Camping, hiking, or trekking is described as the best ways to go out and enjoy nature. However, once the little one comes out, you might not be able to indulge in these trips and enjoy the comforting and soothing effects of nature. 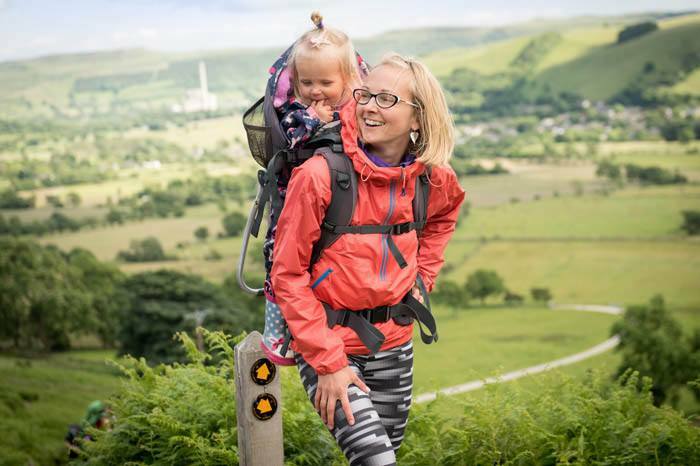 The best baby carrier for hiking is designed to be comfortable and make your trip all the more worthwhile without leaving the little one at your in-laws. 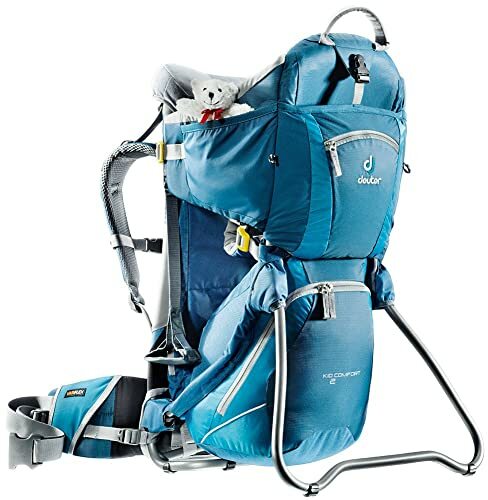 We have set out to find the top baby carriers that you could use on your hiking trip. We have tested them and tried them for the weight and the comfort to make your trip that much better with the entire family. Will You Go Cheap Or Buy Quality? Hiking treks can become quite long and you might feel tired and worn out if you are carrying a massive weight. The weight is a great place to start looking and since your baby will definitely be quite a few additional pounds, you should try and cut off as much weight on the carrier, without damaging the integrity and the safety it provides to your baby. While the weight is generally dictated by the materials used, you should also keep in mind that durability is something that will give you long-term use. The carrier should be able to last the entire baby phase, saving you money and allowing you to go on even more trips. - Hardshell: The hardshell is the most expensive of the bunch and it is designed to give you sturdiness when hiking those longer distances. These carriers are also a little heavier, but the baby will not be able to move it and place the weight on one side of the body. 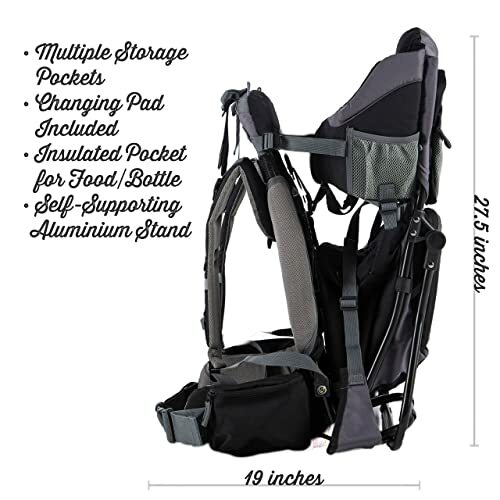 The hardshell carriers are the best for avid hikers, planning to do longer distances. - Softshell: The second carrier is the softshell carrier and while it is easier to move and manipulate, it is also less durable and will not be as sturdy. The softshell carriers are designed for smaller hiking trips and simply just walking in town. These carriers are much more affordable and they will not be used as frequently. Depending on your trip, you might need some additional storage space for all the baby bottles, diapers or baby powders. This is where the added pockets and backpack will come into play. These are included to store all the baby belongings and the more storage space you have, the fewer items you will need to carry along by hand. 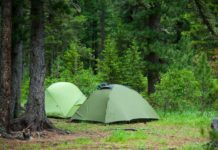 However, additional storage space might mean that you will stuff the backpack and this could increase the weight that needs to be carried around on your hike. The materials used in the shoulder straps are vitally important and since these will be around your shoulders the entire day, they might eventually dig in and become more painful. The straps also dictate the integrity of the bag and they should not be able to snap. From time to time, you might find yourself slipping and stumbling and these straps will keep the baby safe and secure. Additionally, you might look for padding and odor-reducing properties if you are someone prone to excessive sweating in the heat. While the hardshell carriers cannot particularly be folded, you should try and find softshell carriers that do not take as much space when folded. Should you be on a trip and have limited packing space, the space saved from the carrier could potentially be used for extra drinks or perhaps even taking a larger cooler. Much like us humans, the baby will eventually get bored if the trip is taking too long and having the ability to adjust the seat for more comfort if they fall asleep, will allow you to enjoy the trip even when the baby gets tired and irritated. While having this feature might be expensive; it is definitely something that could be beneficial. Babies will vary in weight and size and should your carrier be too small, the baby might not enjoy it as much. The bigger and stronger the materials, the more weight it will be able to handle, which means that it can be used for longer periods before needing to be replaced or upgraded. When thinking about your children, you would definitely do anything in your power to protect them from harm. The Juvenile Product Manufacturers Association (JPMA) has been established to certify products made for babies in areas of life where they might run the risk of being injured. Your baby carrier should definitely adhere to these certifications and specifications to give you more peace of mind. Now that you have some sense on which features are the most important and you feel like you might be ready to buy, it might feel like you do not know where to start searching. 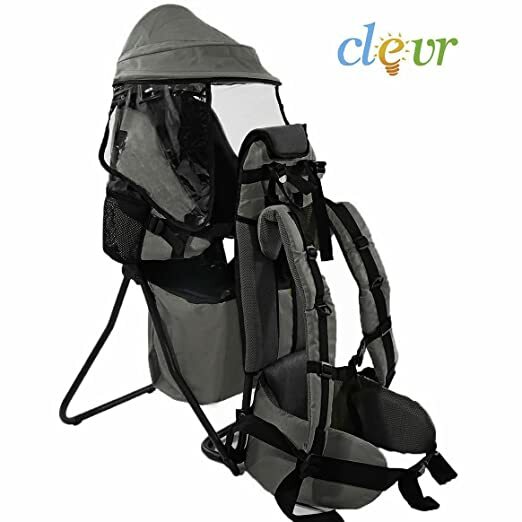 The Clevr Cross Country Baby Backpack Carrier is first on our list and it is a hardshell carrier designed with a durable and lightweight aluminum frame. 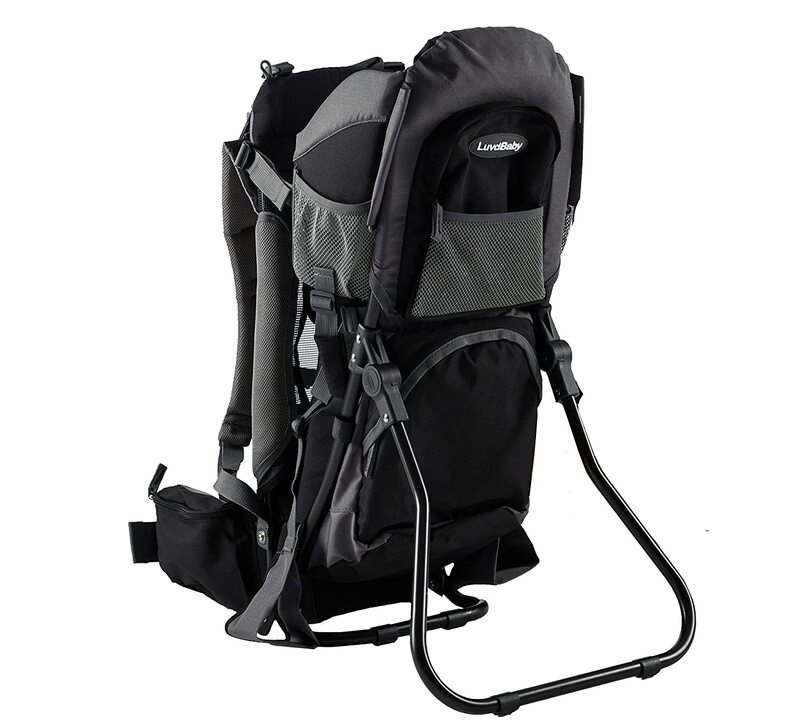 The carrier itself includes a stand in case you need to take a little break and the sun visor will keep the baby from burning up in the hot sun when hiking. This canopy can also be retracted for the night times and reinstated when the rain sets in. 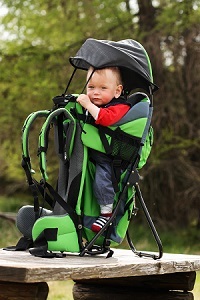 It is designed for babies in the age bracket of 6 months to 4 years and can hold a maximum weight of 33 pounds. Multiple pockets are included on the sides and these will be ideal for storing items like diapers and bottles. The price is not too high and for the great durability, we would definitely recommend it to avid hikers. 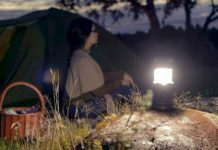 It is extremely durable and will allow you to set up camp or take a break without disturbing the baby if they fall asleep. Short people under the height of 5”2’ might find it a little too big to carry around. 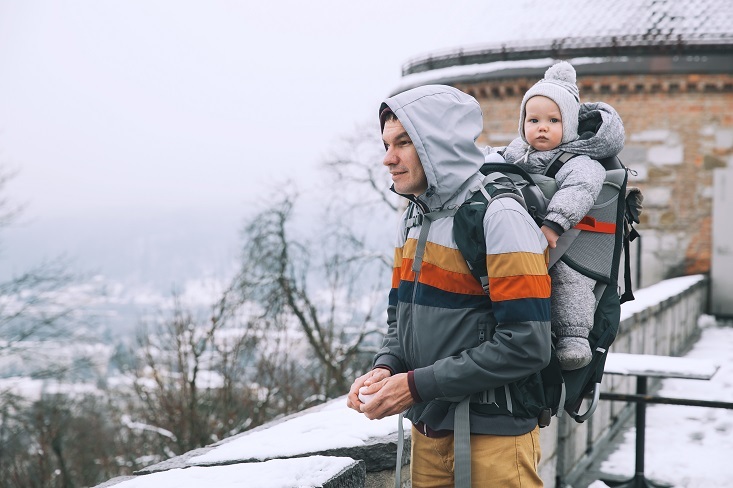 Next, we have the Premium Baby Backpack Carrier for Hiking and this design focuses primarily on providing premium comfort and safety for your baby. It is quite expensive, but considering the quality of the lightweight aluminum and the waterproof 600D ripstop nylon materials, your baby will not get wet or break the strap. This unique carrier not only includes multiple storage pockets, but it also features an insulated pocket for keeping the bottles warm. The diaper changing pad also eliminates the need to carry your own one and the adjustable height makes it perfect for parents of any heights. If you are done walking, the legs can be folded out and the baby can be placed near you in the carrier. Our third carrier comes from Kelty and the Kelty Tour 1.0 Child Carrier is another hardshell carrier made from lightweight aluminum. It is fully adjustable and the 5-point harness ensures that you have no way of losing the carrier as you fall. Since the height can be adjusted, it can also be worn by both men and women. Coming in as one of the affordable options, it has the ability to hold a maximum weight of up to 50-pounds. However, this does not mean only your baby and will include the products or equipment that you are carrying along with you. Once you feel like taking a break, it can be unfolded and the baby can sit next to the fire while enjoying the view. 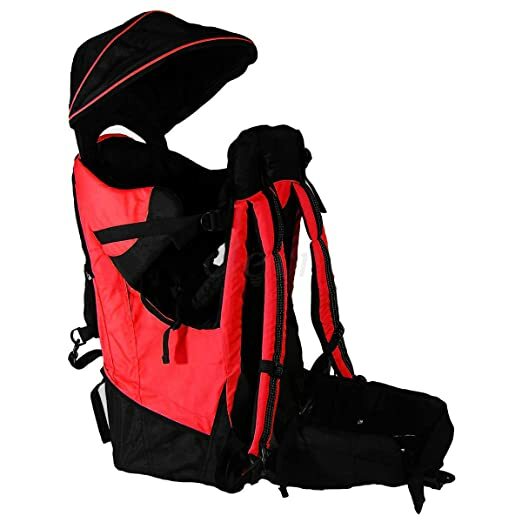 The Deluxe Red Baby Toddler Backpack is one of the cheapest models you will find on the market today. This is of course if you are looking for the hardshell version and like all the others; the frame is constructed from durable, but lightweight aluminum. It includes a retractable waterproof canopy for sunny and rainy days to keep the baby protected. Nevertheless, multiple storage pockets are included and this includes smaller pockets for your mobile phones and tablets. These pockets are all waterproof as well and should keep these valuables protected from the environment. Lastly, it is worth mentioning that the maximum user weight is 33-pounds for the baby. 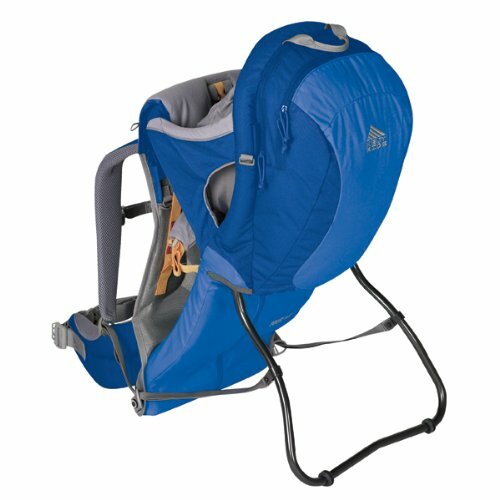 Last but certainly not least, we have the Deuter Kid Comfort 2 and this is certainly designed for the spoiled babies. It is expensive, but once you see the materials, you will know why. Microrip nylon is used for the chair and this is soft and comfortable, while also wicking away moisture and sweat with more effect. The materials can also be removed and they are machine washable. 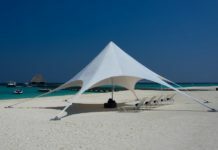 A rain roof is included, but it can be used to keep the sun away as well and the aluminum frame is definitely one of the most comfortable on the market today. Lastly, it has a maximum weight limit of almost 50 pounds and with a 16-liter volume, you could store multiple pieces of equipment. We would definitely recommend this one for the luxury and the overall comfort to avid hikers. Choosing a great carrier is not as simple as it seems and while these are all exceptionally good at doing the job, we have chosen the Premium Baby Backpack Carrier as out number one option. It is reasonably priced and the comfort levels are off the chart if your baby is quite fussy. Now that you know which one we would choose, the question begs to ask, which one will you choose. Please let us know in the comment section and notify us if we have missed any of your favorites. Previous articleAre Moose Dangerous? The Answer Will Surprise You! Next articleHow To Identify A Water Moccasin In 5 Simple Steps – Know It Here!